Today on 12th of June 2016 a wonderful job opportunity is knocking the doors of applicants from Rescue 1122 Jobs 12 June 2016 NTS Test & Sample Past Papers Download. 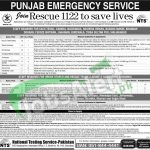 The Punjab Emergency Service Rescue 1122 is working in the 15 Tehsils and is working in the 36 district of Punjab is currently intends to hire the applicants for the staff position in various Teshsils and in Rawalpinid & Lahore Division. The Teshils includes Kamoki, Wazirabad, Nowshera Virgan, Narang Mandi,Khanka Dogran, Burewala, Jhanian, Tibba Sultan pur, Shujabad and in may other Tehsils the following vacancies are vacant to apply which includes Rescue & Safety Officer, Station Coordinator, Shift Incharge, Emergency Medical Technician, Fire Rescuer, Computer Telephone Worker/ Operators, Maintenance Technician, Rescue Driver, Field Worker / Cook, Sweeper, Lead Fire Rescuer are the Tehsils vacancies where for the Urban Search and Rescue Staff in Lahore & Rawalpindi Division the vacancies includes DERT Rescuer, Specialized Vehicle Operator, DERT Rescuer (Civil) and Senior Store Keeper are required. So, all those applicants whoa re in probe of such posts must have a look to apply with the respective qualification and expertise. So, after having all these details let's move towards its further heading step by step. Educational & Experience Requirements: For all those applicants who are willing to apply for the above posts to they must possess the qualification of MS.c, BS.c, BCS, B.com, D.com. FS.c B.A, DAE, Middle with relevant each field expertise are required to hold these posts in a meticulous manner. Age Limit: Age limits are different for each post and are similar at the same time as 20-45 years, 22-35 years, 20 to 30 years and 18-35 and 18-35 years is required. Interested and willing applicants are required to apply by visiting the NTS website as www.nts.org.pk and download the application form along with deposit slip also. Duly filled application should reach at the proper address accompanied by educational and experience certificates and original deposit slip should reach before due date. Last date for applying is 28th June 2016. The NTS will not accept the late received, incomplete and by hand submitted applications. The applicants are required to apply for any open post but on the permission of Committee and authority the applicants can apply for multiple posts. Written and psychological test will be conducted on 17th July 2016 at 9:00am. At the time of test entry the original CNIC ans deposit slip is mandatory to be had. Along with males and females shemales are also eligible to apply. 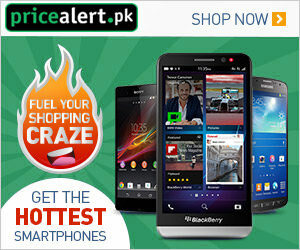 Address: NTS Headquarter, 1, E-, Street No, 46, Sector I-8/2, Islamabad.